The Essence Music Festival is one of the biggest events of the year and is known as “THE PARTY WITH A PURPOSE.” Join TRAVEL DIVAS for the largest annual African American event and gathering of musical talent in the world. This festival offers free Empowerment Seminars during the day at the Ernest N. Morial Convention Center and exciting music performances at night at the Mercedes Benz Superdome. 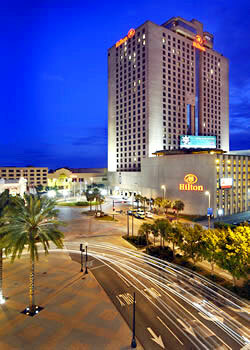 TRAVEL DIVAS has rooms secured at the Hilton New Orleans Riverside Hotel which is a few steps away from Ernest N. Morial Convention Center, the New Riverwalk Mall, Harrah’s Casino, the Mississippi River and the French Quarter. 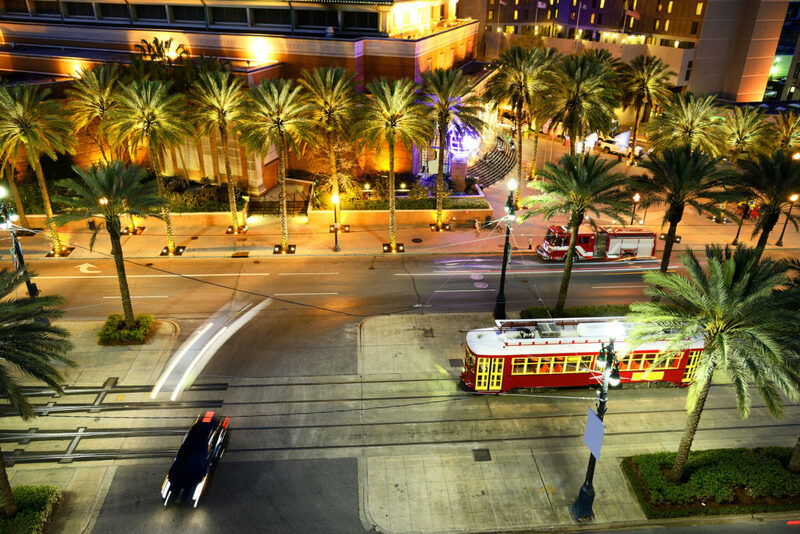 It’s all about location in New Orleans, and the Hilton New Orleans Riverside places you at the center of it all. Nestled against the banks of the Mississippi, guests can watch the ships come sailing in or dive into the city life just steps away. Grab a beignet, listen to live jazz, ride a streetcar, or hop into a parade, you never know what you’ll experience in the vibrant culture and excitement of New Orleans just outside our front door. Make it a trip to remember with Hilton. These downtown New Orleans hotel rooms are spacious and welcoming. WiFi is available, along with a 37-inch LCD TV, and spacious work area. Please note the Hilton Riverside New Orleans Hotel only have one king or two queen beds. Please note this when booking triple or quad occupancy. Hotel Industry standards may require a credit card charge upon checking into your room for incidentals. You and your roommates should discuss this before checking in. You should also use a credit card as oppose to a debit card. Cash can also be submitted. Please contact Hilton Riverside New Orleans more on their incidental policy. Our Private Party will be held on Saturday, July 6, 2019. Location and time will be forwarded to you 30 days before the event. Travel Divas Staff will be on-site for any guests needing assistance at the hotel and/or Day Party. You must make your reservations in the name that is on your government issued identification you will use to check-in at the hotel. Premier Travel One and Travel Divas accepts payments by credit card only. Please see option below. Refunds will not be given due to roommate abandonment. Please ensure your roommate has made his/her reservations and are making timely payments as required. You can log-in to your account 24 hours a day after your initial reservation: Log-in HERE. Name changes are available on your reservations until April 1, 2019. No payments will be accepted after April 30, 2019. If you select the auto bill plan and later cancel this plan you are responsible for making timely payments on your reservations according to the billing plan on your account. If you should go more than 60 days without any payment whatsoever, your reservations may automatically cancel without notice.